MIRYANG, South Gyeongsang Province -- One of the country’s biggest theater arts festivals, the annual Miryang Summer Performing Arts Festival is continuing its daily staging of domestic and foreign plays under the theme “Theater: Putting Down its Roots in the Region” through Aug. 7. Now in its 16th year, the annual festival appears to have planted its roots firmly in the small city of Miryang, tucked away in the middle of South Gyeongsang Province. 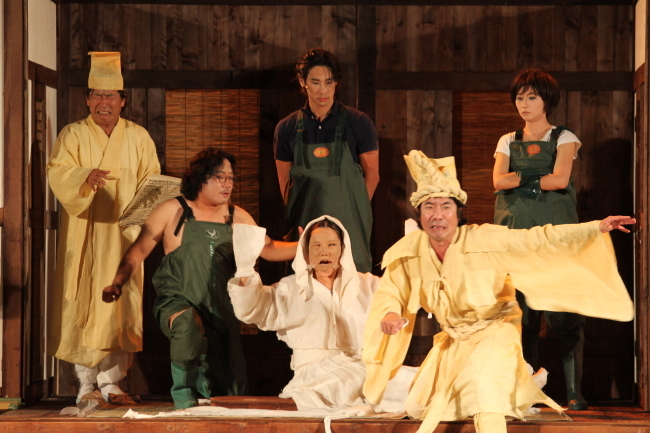 The festival is organized by veteran play director, writer and poet Lee Yoon-taek’s Theatre Troupe Georipae. “I think it’s a terrible untruth for Koreans to solely associate the theater arts with Seoul,” Lee told The Korea Herald. 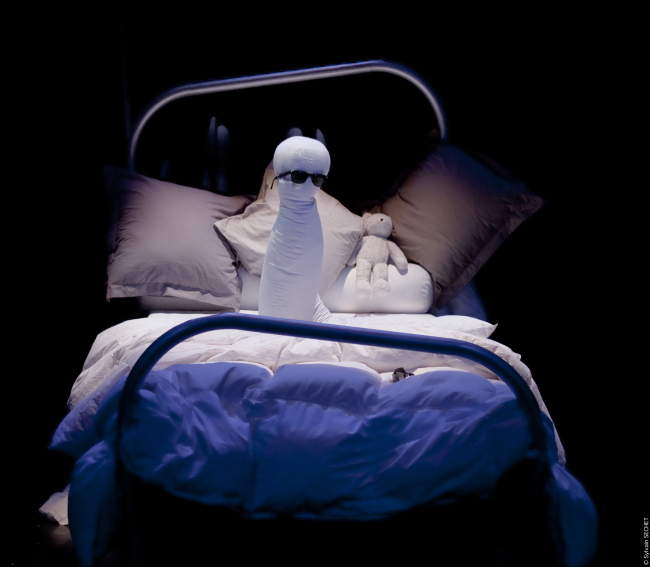 The festival has already staged the two international productions that were invited: environmental German play “TRASHedy” and Label Brut’s avant-garde French play “Mooooooooonstres,” which were both sold out. Still to come in the Miryang Performing Arts festival include director Lee’s rendition of Russian playwright Anton Chekhov’s “The Cherry Orchard,” following the life of an aristocratic Russian woman and her family feud. 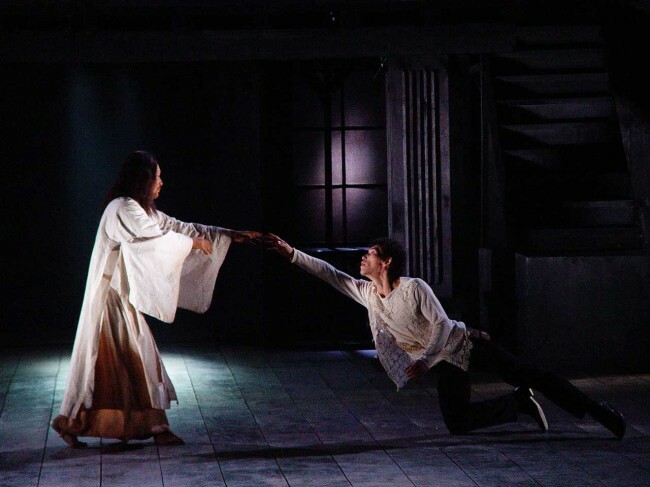 “Ogu” is not only one of the director’s most successful theater productions, but also one of the most highly acclaimed original Korean plays. The story line touches upon traditional shamanistic rituals and depicts Korean culture’s constructs about life and death, while melding both satire and humor into the script. “Ogu” will be staged Friday and Saturday, while “Hamlet” will mark the finale of this year’s festival with shows on Saturday and Sunday. Ticket prices range from 10,000 won ($9) to 30,000 won, with Miryang residents receiving a 50 percent discount on all shows. All productions will be staged at the Miryang Theater Village and the Arirang Art Center’s Grand Theater. For more information, call (055) 355-2308.